Picture the Ocean….. 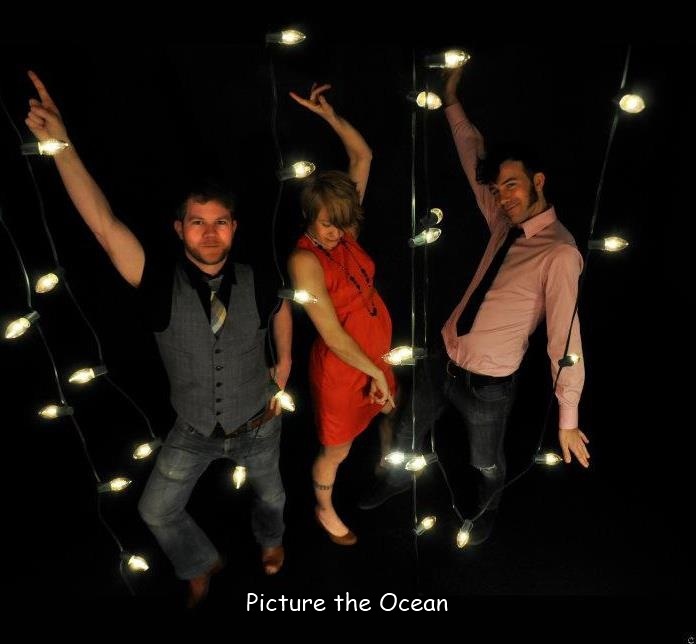 They used to call themselves Jesse Dee & Jacquie B but have added a third member and renamed themselves Picture the Ocean. As the former band, they put out an excellent album titled Our Ghosts Will Fill These Walls which impressed the hell out of me. They continue to do so with Picture the Ocean. Very Americana (Canadiana, I guess) before and now, but they rock a bit more on the ocean, especially on the songs which use organ. You want roots? They got ’em and they use them incredibly well. Jesse is a killer songwriter and the voices bounce off of one another rather than blend. It is a magic combination. Hear tracks from Our Ghosts here and tracks from Picture the Ocean there. And I mean go listen. This may be the most overlooked band inside Canada’s borders! The phrase that caught my attention was “never be an album quite like it from them again or from any other band.” If that doesn’t pique your interest, you must not be into music at all. From what I’ve heard of the band, I cannot disagree with a word. 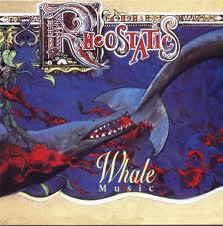 Put together Rheostatics, The Violet Archers and Shade and you have a Tim Vesely track record for the ages. Whether alone or with somebody, the guy has the touch. 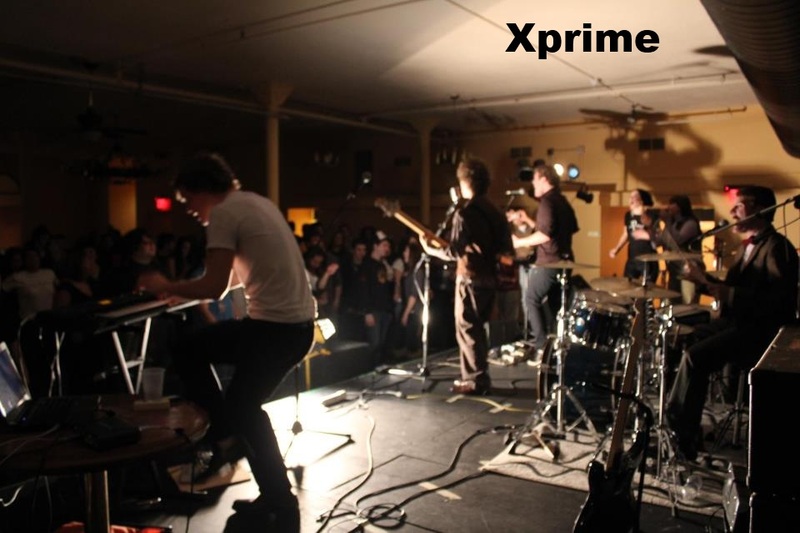 Xprime….. I found about these guys from reading this column. Not mine, but maybe Cam Carpenter‘s or Jaimie Vernon‘s or Bob Segarini‘s. I find that it pays to pay attention. Xprime is from Niagra, Ontario (that’s Canada for us geographically- and intelligence-challenged Americans) and is making its move beyond the restricted area they have inhabited thus far. Very sixties and seventies sounding rock with a pop leaning. Click on the name above and it will link to a couple of tracks for your listening pleasure. This qualifies as either AM or FM and is a bit too much pop to be underground. Fine by me. It is good enough that I can’t wait to hear more. I do not— repeat, do not apologize for digging young girls who crank out rock on electric guitars and, no, I am not much of a Joan Jett or Suzi Quatro fan, but I would be if they played music like Hardy. She’s a balls-out rocker (you have to turn her up to appreciate her) and has the feel for it. You know, you can learn “it” in spite of what the supposed experts tell you (I personally think they just like the assumption that artists have to be born and not bred), but Hardy doesn’t have to. She has the attitude and the energy to make it work. There is an assumption here, of course: that she writes her own music. Whoever writes it, I dig it. Wanna rock? So does she. Listen here, then join her Facebook page. It’s a good way to keep up and she can’t help but keep getting better. I owe Jaimie Vernon for this one, though I do believe others have mentioned her (as well they should have). As for what is happening with the artists from Part Une…..
Dala just released a new album titled Best Day in both Canada and the States. It is another in what will no doubt be a long line of exceptional albums largely because these girls can not only sing but have an unerring ear when it comes to pop music and harmonies. If they come to your area, go see them. They will more than likely make you a fan. Laurie Biagini released her latest album (A Go-Go Girl In a Modern World) last November and has been cranking out tracks since. If you would like to keep up with her, you’d better keep energy drinks handy because she in untiring, it seems. You can find out about her latest recordings (plus trials and tribulations) on her Facebook Page, where she posts links to new and sometimes rough tracks. If she keeps working as hard as she has been, a new album will probably be ready for release shortly. Eric Corne has been spending most of his time on other peoples’ projects of late but is slowly piecing together his next album. The thing about Eric is that you never know who will show up on his songs. He has made many friends through his work as engineer and producer and is not afraid to call in a favor or two when it comes to his own music. To see what I’m talking about, check out the names on his last release, Kid Dynamite & The Common Man. It’s one hell of a lineup. 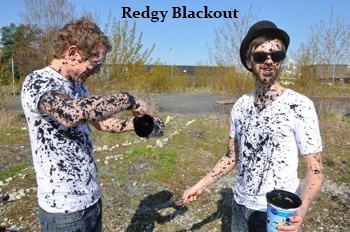 Redgy Blackout is hoping to get back into the studio to record a new album in the fall. In the meantime, they are demoing tracks to see which will make the cut. You can find at least one link to a new song on their website (click on the name above). I’ll be checking it out after this column is finished. Okay, Lester Quitzau doesn’t have anything in the works that I know of, but that’s as much our fault as it is his. Five’ll getcha ten that only a few of you have bothered to check out his music and let me tell you, it is freakishly good! A couple of the tracks from his The Same Light album have stayed with me since first listen, and that was a year or two ago! He has a player on his website (again, click on the name above). Set yourself. 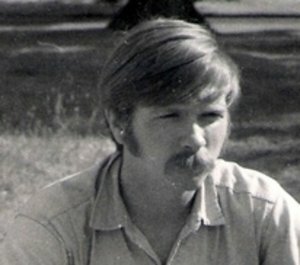 This guy would have owned the West Coast back in the Seventies and should today as well. I attended a concert this last Friday at a small book store in Eugene, Tsunami Books, and walked away with conflicting thoughts (as I do from every concert these days). Questions have bounced around my brain since— why so few in attendance, why that venue, why Steve Young has not been given the respect given so many lesser artists (even from those who are also immersed in music in one capacity or another)… It is a cacophony of why’s rattling around the cranium and I can answer some questions individually (usually with the generalized “people are asses” standby), but when they are laid out one next to the other it is a confusing mess. In a way, it comes down to the catch-all “how did we get here from there,” but it is even more complicated than that. Jaimie Vernon, in last week’s column, The War of Independents, simplified the music world as much as I suppose it could be and I have bookmarked it for future reference because he covers the hot button issues with subjectivity cloaked in objectivity and does it so well. But even his column did little to allay my confusion. The basic questions I want answered is why this musician and not that musician, why that song and not this song and the biggest one of all, just who is making all of these decisions which drive the music into our collective conscience. If I could just figure that out, I might be able to understand why not only Katy Perry has hits, but how she garnered enough cachet to make a movie. You see, whether you are aware of it or not, Steve Young is a legend. Not a legend in terms of the way people toss around the word “hero” these days (they have pretty much gutted any reality that word once had), but legend in terms of life and life experience and turning it into song. Like Tom T. Hall. Like Hank Snow. 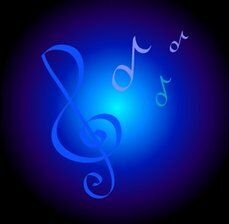 Like so many others who dedicated their lives to music. When you look at it in terms of a Hall of Fame, why have we given the keys to others and not Steve? What I saw and heard on stage at Tsunami Books makes me wonder, that’s all, because Steve is every bit as qualified for such an honor as anyone else. His songs are legend, his performance wa-a-y above the norm and his presence exciting in a humble sort of way. He still picks like the wind, has most of that stellar voice I came to know and love back in the Seventies when I discovered his music and connects with his audience. He more than qualifies. Steve and son Jubal Young shared the stage and you could not have asked for a more compatible duo. 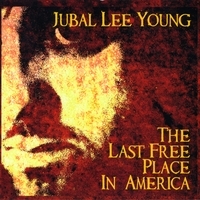 Jubal, of course, grew up with his dad’s songs (and a sense of the legend) and decided to take the music route (better than digging ditches or working in sewers, I am sure he was thinking), but it has only been within the past decade or so that he has turned in his quest for the perfect metal chord for his roots. To my ears, his Take It Home album is a welcome return to the roots that he for years refused to recognize, but I cannot help but realize the power of his more political Last Free Place In America project, thanks to his playing a couple during his set. With that treble and squeaky folk harmonica which made Dylan a sensation before he went electric and mere acoustic guitar, he had me listening for jangly twelve-string guitar and Byrds-like vocals. In my head, it sounded great. Perhaps I will talk to him about recording an album with massive production and stacked harmonies. Then again, he is doing pretty well on his own and doesn’t need my help. And he doesn’t listen to me anyway. The third set was the set most people took to— the set they played together. It was Steve’s set, his songs, but without Jubal’s outstanding lead acoustic guitar, and Steve’s manic leads in a couple of places, the set would have been the lesser. I mean, I cannot even imagine Rock Salt & Nails without the simple guitar lead. It is crucial to the song. And Jubal played it in perfect understated fashion. When the set was over, the small crowd was sated. They knew how tired Jubal was. He looked absolutely exhausted, but you couldn’t have told it from his music. They headed out the next morning for Portland and the morning after that for Seattle, two shows which Jubal said were magical. There is a lot to be said for a full house egging you on— especially a full house which knows your music. From there, it is on to Montana and then home. If I had a vote, Steve would already be in whichever Hall of Fame who wanted him or in which he wants to be included. Jubal is working himself in that direction and, while a few years behind his father, might just have a few breakthroughs and make it. It will be fun watching and listening. Last Friday, it was fun watching and listening. Support indie music, my friends. One show like this one is worth a lifetime of Eagles’ shows, I guarantee you. 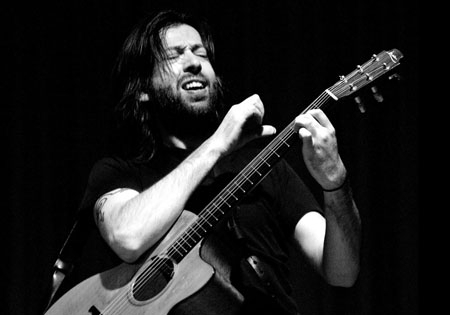 And speaking of live shows…..
Jon Gomm, Canucks! Jon Gomm! You lucky cheesers get to see one of the most unique guitar players I’ve ever seen (in videos, at least) and I’m stuck here in Oregon, wishing. Seriously. Gomm is someone you do not want to miss!!!!! He starts out his upcoming Canadian tour in Halifax at The Carelton, Wednesday August 1st, plays Hugh’s Room in Toronto on the 2nd, plays the next day at The Canadian Guitar Festival in Kingston, Ontario, then heads to Kitchener to play The L-Lounge on August 8th, The Festival Jazz Etcetera de Levis on August 11th in (I believe) Quebec City. August 12th will find him in Montreal at L’Astral, and he finishes off the tour in St. John’s, Newfoundland on Thursday, August 16th (at the LSPU Hall). Guitarists, miss at your own peril. Music fans, check out his music videos! After seeing what he can do, many of you will go, I am sure. For the full schedule, click here. Don’t say I didn’t warn you…..
And on the Poco Front….. There is a new album in the works. The band is presently mixing down and completing tracks and will have it available in album form soon. 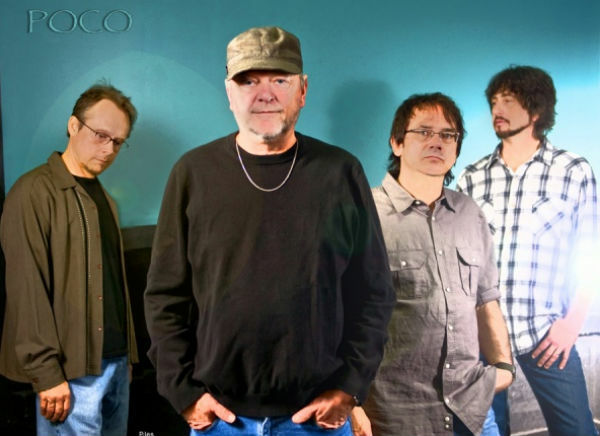 This is a Rusty Young-led group, Paul Cotton having left the band awhile ago. Other members include Jack Sundrud, George Lawrence and Michael Webb. Don’t let the lack of Cotton and others fool you. I’ve been following Rusty for years and he has never played with less than the best. Here is their website…..
Notes….. In my notes for last week, I mentioned Charlottesville’s Sons of Bill. For a time, you can download a live show recorded at Staunton VA’s Mockingbird Roots Music Hall. Free. Just follow this link and click on download. “Sons” now means more than The Sons of Champlin, although those sons (and Rival Sons) are pretty cool too….. Remember the music video of Lisbee Stainton‘s Sidekick? Well, she’s gone off and used the outtakes and a remix for another round. Let us call it Sidekick, Part Deux. Watch the original and then click on this for the remix/outtake version….. From the where the hell was I in 2006 file: The Samples‘ When It’s Raining. It was a hit, right? Top Ten? Should have been. It’s a pop monster! Watch video here, then check them out on the web….. This by way of Research Turtles‘ legal guru Rick Norman: For all of you who think that bands like The Turtles have swimming pools full of cash a la Unca Scrooge, here is a link to an old video of Howard Kaylan and Mark Volman explaining the black hole into which much of their riches disappeared. Watch it here, and after you’re done laughing, think about it. Most things are funny in retrospect, but while it was going on….. I can’t keep up on everything, but I have a few friends who think I can. 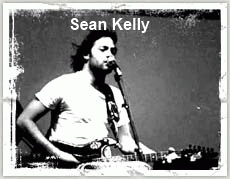 One, Michael Adams, has been hammering me about Sean Kelly and his band The Samples. I finally watched one of their videos and was impressed enough that I am hoping I can talk Sean into an interview. I’m hoping he has some insight into the workings of the major labels circa the Nineties and 2000’s. The major labels who at first embraced his and his band’s music and later rejected it. Sean seems amenable. Here is a link to one of their videos. Stay tuned….. Still listening to Buxter Hoot’n and am more impressed by the song. Here is a link to a video from their brand spankin’ new EP. I think this could be the beginning of a beautiful relationship….. I think Lisbee Stainton is having too much fun with her new Sidekick single. Here is a video of outtakes from the filming. It is a great track. Where is AM radio when you need it?….. Would someone please tell me what Ali Milner is up to these days? I pulled out her I Dare You album for a listen the other day and was amazed at how really good it is. Oh, I knew, but that knowledge had little impact until I once again heard….. Anticipating Old Californio at The Axe & Fiddle in Cottage Grove, Oregon at the end of August. This show will be almost three years in the planning (I swore that if they ever came to within decent driving distance, I would be there). Now, if I just don’t get hit by that train….. 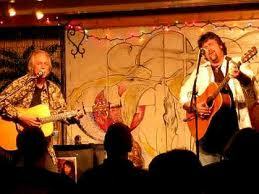 Speaking of The Axe & Fiddle, one of Zoe Muth‘s good buddies will be playing there on Sunday, July 15th: Joy Mills. Anyone in the Willamette Valley out there? You might do worse than to head down or up to Cottage Grove for the show if only to see and hear someone Zoe thinks is worthy….. Everyone seems to be talking about Shovels & Rope lately and I see that they, too, are playing the old Axe (on July 31st). Damn, but they are getting the good stuff in Cottage Grove….. This just in from Noise Trade: Free tracks from J.D. Souther and Susanna Hoffs. Just click on the names. Jeez, Howie, is it Christmas already? This entry was posted on July 7, 2012 at 5:26 pm and is filed under Opinion with tags Buxter Hoot'n, Dala, DBAWIS, Don't Believe a Word I Say, Eric Corne, Frank Gutch Jr., Indie Music, J.D. Souther, Jon Gomm, Jubal Lee Young, Laurie Biagini, Lester Quitzau, Lisbee Stainton, Mena Hardy, Picture The Ocean, Poco, Redgy Blackout, Rheostatics, Sean Kelly, Shade, Steve Young, Susanna Hoffs, Tim Vesely, Violet Archers, Xprime. You can follow any responses to this entry through the RSS 2.0 feed. You can leave a response, or trackback from your own site. Thank you so much for the kind words Frank! I have some great news for you. Picture the Ocean is playing this Thursday, August 23 at the Alberta St Pub in Portland and we’d love to meet you. We’ll throw your name on the guest list! Cheers.